The Pratt Museum opened its doors to the public on June 1, 1968. 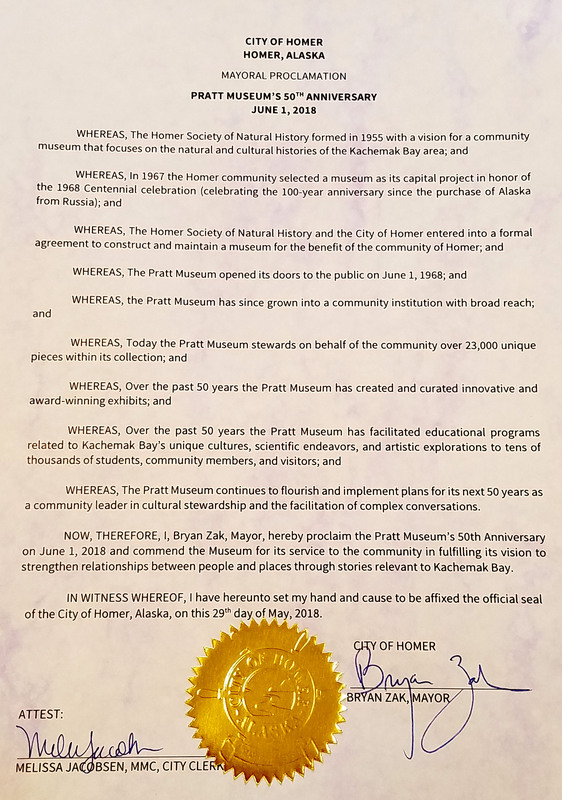 Although the Homer Society of Natural History had been established twelve years before, this public opening was the first opportunity for the community to enter the new Centennial Project building to visit artifacts from Kachemak Bay and across Alaska. Thank you to all who came out for the Fish and Flowers Ritzy Garden Gala on July 28! Great food, fun music, a lively auction and many museum friends made this a fabulous evening!